Why Anunnaki Is Forbidden Movie And Never Came Out To The Cinemas?! Ancient Aliens: Was Shiva the Destroyer an alien leader? Tutankhamen’s Dagger Was Made From “Alien Gold”? Are Aliens Plentiful, But We’re Just Missing Them? Ezekiel’s Wheel? The First Description of an Actual UFO? What If We Discovered Alien Life? WERE THE DULCE MILITARY BASE WARS REAL? Evidence that the “Ancient Visitors of the Pleiades” created Homo Sapiens? 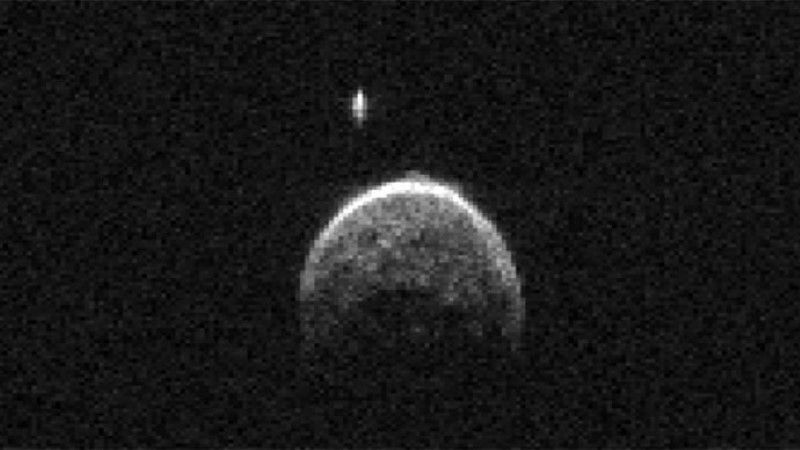 As the asteroid 2004 BL86 made its closest approach to Earth Monday, NASA scientists noticed it wasn’t traveling alone. Data collected by NASA’s 230-foot-wide Deep Space Network antenna at Goldstone, Calif., as the asteroid passed about 800,000 miles from Earth (just over three times the distance from Earth to the moon) produced 20 radar images that revealed the asteroid has a small moon of its own. The moon is about 230 feet across, circling the asteroid, which is approximately 1,100 feet in diameter. In the world of near-Earth asteroids, about 16 percent of asteroids this size have a smaller asteroid moon orbiting them. The asteroid won’t come this close again for 200 years, and the next space rock to approach this near to Earth will be asteroid 1999 AN10, when it passes by in 2027. Do you believe in alien life and/or UFOs? Follow us on Facebook, Twitter, Pinterest and/or Instagram! MYSTERIOUS Discoveries Revealed By Ancient Art!